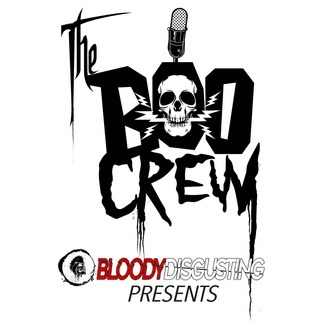 Join your hosts Tim Timebomb, Trevor Shand, Lauren Shand, Rachel Tejada, Austin Wilkin and Leone D’Antonio as they bring you discussions and interviews covering all things horror! Our guests are not only icons from your favorite horror and genre films from in front of and behind the lens, but also artists, actors, musicians, authors and personalities inspired by horror and dark entertainment. A truly unique experience that has something for everyone. ¿Donde están mis Boo Crew?! Maybe check in with Michael Chaves on a spoiler free Episode 43! Meet the director of the latest horror film from New Line Cinema and Atomic Monster, “The Curse of La Llorona” in theaters everywhere April 19th! Find out how a terrifying short film (filmed at the original @enterdelusion house no less) prompted James Wan to hand over the keys to The Conjuring 3 and the script based on a many centuries old Mexican folk tale. Hear about working on a haunted set, designing the monster, and collaborating with Billie Eilish on her spooky video for her single “Bury A Friend!”. 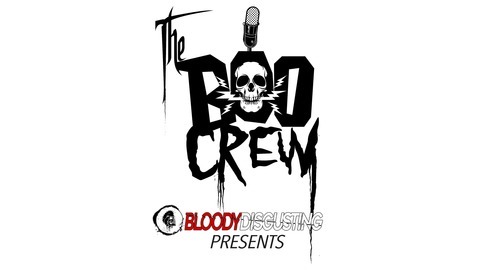 First, the Boo Crew recap the amazing Monsterpalooza 2019 Convention that takes place annually in Pasadena, California. Don’t snooze on Chaves’ short, “The Maiden”…it will seriously blow your mind! Link at our website. La Llorona is a MUST SEE this weekend horror fiends!! Super fun, intense, and beautiful. The Boo Crew luvs ya!